This is the first nail varnish I had tried by Filthy Gorgeous - And I love it. This shade plays tricks on you. At first glance you think it's a bright antique gold, but after a long stare it begins to look like a gorgeous shimmering lime. I love this colour, and it is just devine on the nails. I love anything sparkly, from body shimmers to shadows, and this was just the most perfect thing for me to wear. This is how it looked after one coat, and I guarantee you that it looks simply stunning over a dark coat of polish. This polish is really lovely. 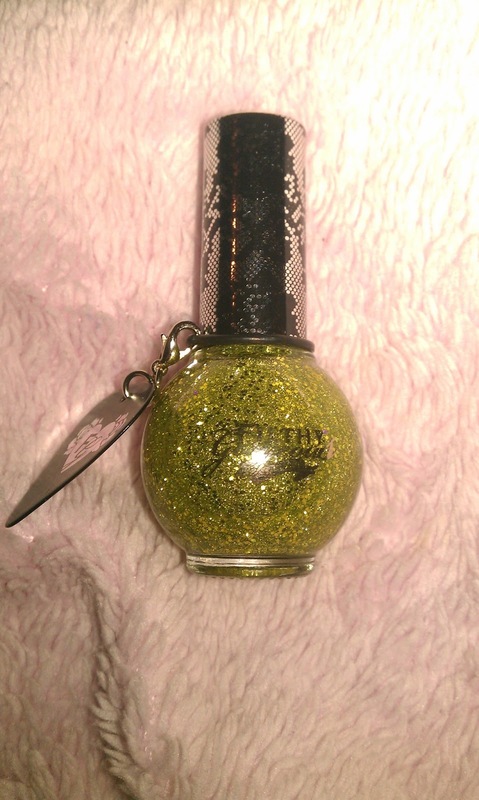 It's packed full of medium sized glitter which floats on tiny tiny tiny little glitter particles which makes this look seriously breath taking in the bottle. Below is the final look, with just 3 coats this seriously gives some shine. I got so many compliments from this all day at uni saying how lovely it was, and I agree - It looks beautiful! I was so happy with this, but a bit biased I must add as I love sparkles! 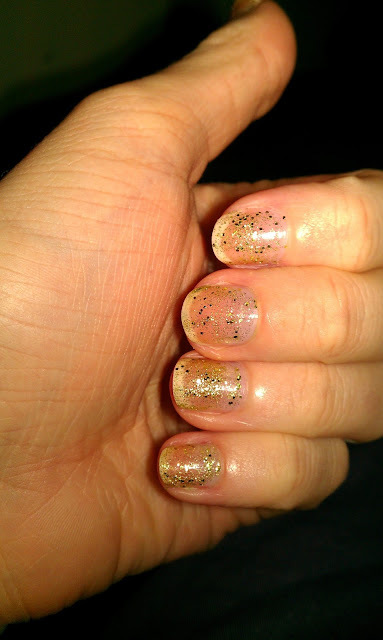 I have a few more Filthy Gorgeous nail varnishes to show you, and I am very pleased! The wear is just amazing, and it takes forever to chip! Although I must say that the glittery shades don't last as long, and are a bit of a chore to clean off. 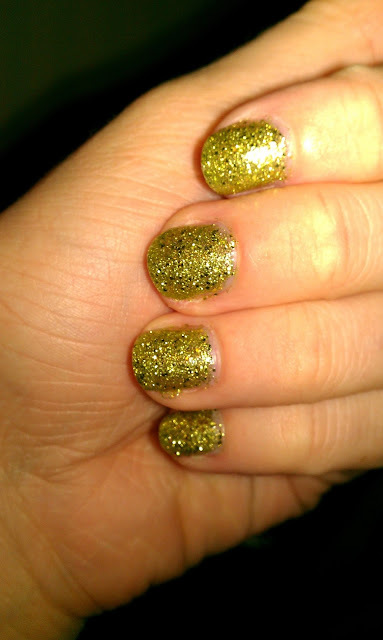 Overall I loved this nail polish in Rock Star and you can get it at Jarrolds here for £9. Let me know what you think of this colour, and if you've used Filthy Gorgeous before!